Digitalisation has created incredible and powerful dimensions in which human behaviours and cultural interpretations can be influenced and modified, but also innovative methods, through which the changes among societies can be reflected and communicated, especially in the field of humanity. The visual language of the digital communication is constantly changing over time. These transformations in digital spaces are a reflection of new ways of perceiving diversity in the real world. In one of my previous posts, I explained how emojis can have a deeper meaning and express cultural diversity in many forms, such as gender or ethnicity. Recently, understanding and representing this cultural diversity has become an important issue also in video games. The attempt to define the gamer’s identity led to several steretypes, for which the player was mainly considered as a white (possible upper-class) teenage boy. This stereotypical image is no longer appropriate. It has been statistically demonstrated that teenegers are actually the minority among game players. In fact, it is true to say that ‘gamers are not a monolithic category’ (Yee, 2014). Some research studies show that the players are 60 % male and 40 % female (ESA 2008a), and the game culture is now ‘more gender universal’ (Dyer-Witheford, De Peuter, 2009). Cultural relationships and power dynamics are generated through technology and its competency, access, and literacy. Thus, ‘concerns of technicity intersect with concerns of gender, ethnicity, and class’ (Keogh, 2018). Yet, video games are generally seen as more interactive than literature or films, because they allow the player to perform actions in a virtual space. According to Keogh, video games ‘have long naturalized the ideals of a liberal rational subject’, including mastery, autonomy, individualist agency (still mostly connected to the “male” player). The players can make choices – as to how to hold their bodies – inside the game but they have to be aware that they do so always against the constraints provided by the videogames (Keogh, 2018). As Bogost says, games are fun because they are limited and players have to accept these boundaries and limits in order to play (Bogost, 2016). “The videogame is mediated by the player, and the player is mediated by the videogame”. Regarding the interactivity of the game, it is important to reach an ‘understanding of video game experience as embodied textuality that flickers across actual and virtual worlds as a play of bodies’ (Keogh, 2018). Furthermore, what usually makes games more interesting is that players can actually create their own characters. Yee explains that ‘depending on the game, players can customize the appearance of their character by selecting different hairstyles, skin tones, and clothing’ (Yee, 2014). Can a person’s gender be detected by her/his choose of video game avatar? An university study of Concordia University‘s Department of Communication Studies has tried to answer this research question with impressive results. For instance, it has been showed that ‘male gamers with female avatars used more emotional phrases and employed smile emoticons more often than those with male avatars. They were also more likely to choose an attractive avatar’. One of the authors of this study, in fact, explains: “avatars can convey a player’s sense of humour, displeasure, intrigue and interest through cues like gestures, movement and language, which can reveal real-life identity” (Mia Consalvo). Modern video games are focusing more and more ondiversity and gender. These matter in the crucial role that games have insocieties, namely helping under-represented people to create a sense ofthemselves. As the game developer Katie Stone Perez (who also helped the Girls make games project) says, ‘diversity within thegames industry is incredibly important’. Therefore, through the inclusivethinking, the stereotype of the video game player (young white male) is being revisioned.Yet, inclusivity is interrelated with accessibility. People can access to thegame with whatever video game characters they want to be, and express, thanksto them, their self representations. “Escapismis beautiful, but representation is intimate and personal – it is theconnection between you and the cultural worlds you explore. Video games have avital role in helping us form a sense of ourselves because they are pervasiveand powerful”. Video games have changed people’s lives and self-representations, but at the same time the design and style of the videogame characters can be transformed by people so as to express their different cultural perceptions. A good example of this is The Sims, which allows players to choose even different skin colours. This game really embraces the concern of diversity. “For the first time, you’ll be able to customize your Sims without the gender boundaries previously set in place. This means you can now create Sims with any type of physique, walk style, and tone of voice you choose – regardless of their gender”. In fact, on theSims 4, more than 700 options, which were only available to either male or female Sims, are now gender neutral. 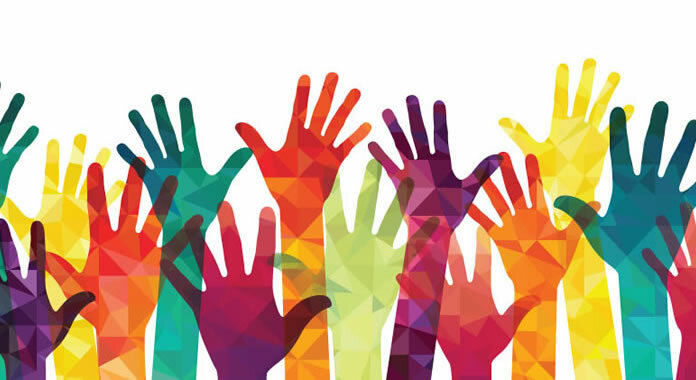 Players have very much appreciated and welcomed this change, which represents the new general approach of the technology industry to diversity. 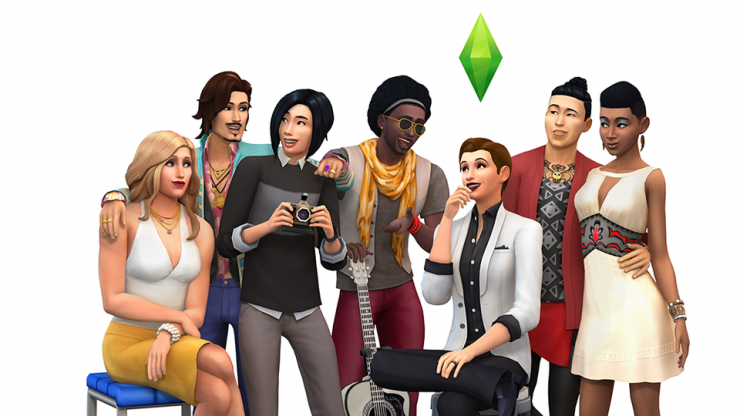 “The Sims is made by a diverse team for a diverse audience, and it’s really important to us that players are able to be creative and express themselves through our games. 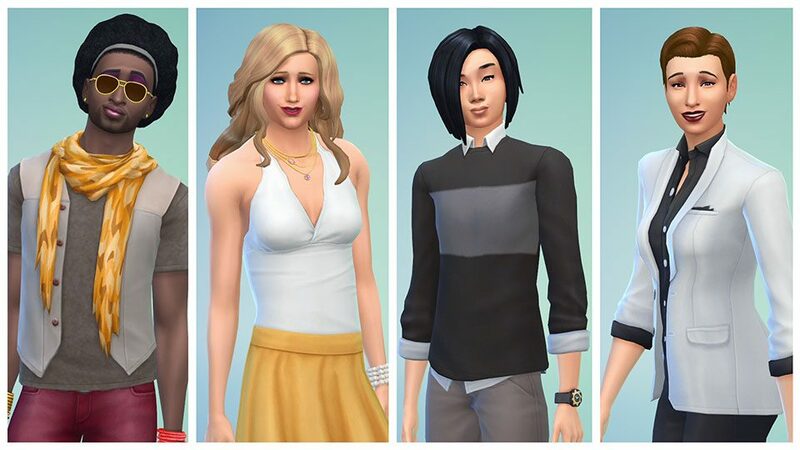 We want to make sure players can create characters they can identify with or relate to through powerful tools that give them influence over a Sims gender, age, ethnicity, body type and more”. In perceiving diversity as an important cultural factor, video games are being improved and reshaped in order to give every player the possibility to become part of the game, in a significant and personal way. Very interesting blog! I always thought the case of Sims was fairly limited, as people used to only be given certain preset options for their looks. However, as they seem to have changed this to fit everyone – good on EA Games! Whenever I get to design my own character in a game I make one that resembles myself; physically, and if possible, mentally. I do that because I like to emerge myself into the game by pretending I AM the protagonist. However, when I see my boyfriend or brother play games they rarely make characters that look like themselves. I’ve always wondered why people design their characters the way they do. Is there something behind it? It is nice to see that research is being done on this subject because it intrigues me. It’s very cool that Sims began to include these gender-neutral features, quite impactful as Sims is quite popular and has been for a very long time. It encourages cultural diversity and the games popularity/response proves that this is incredibly influential upon the realm of digital gaming, and will most likely inspire other design engineers and creators to follow the same path!